Receiving a notice that you have been approved for social security disability (SSD) benefits is a positive experience after an arduous journey. However, you may be left wondering whether you will get enough to pay for your basic needs. Learn more about how benefits are calculated to discover how much you can expect to get if your application is approved. The Social Security Administration (SSA) will carefully evaluate an application to determine if a person qualifies for benefits. People who apply for SSD benefits must have recent work experience. These individuals are required to work a minimum number of years based on their age on the date their disability was diagnosed. Disabilities must be severe enough to make it impossible for a person to perform essential job tasks. The SSA evaluates whether a person could work in a different position when they are determining whether to approve or deny an application. People who make an income may still be eligible for SSD benefits. However, earned income, in other words, money you earn by working cannot exceed $1,040 per month. Disabled people who are considered to be low-income individuals may be eligible for a type of assistance known as supplemental security income (SSI). 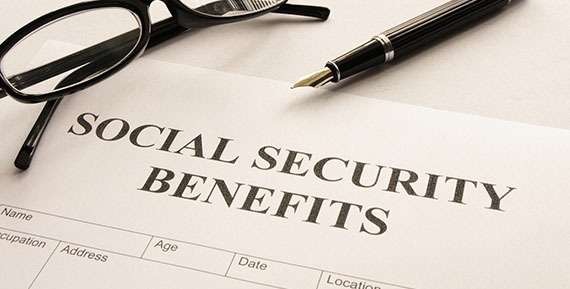 Low-income individuals may be eligible for SSI benefits if they are not able to qualify for SSD benefits. Calculating individual SSD benefit payments is difficult for people who are not trained to do so. The SSA provides estimates to individuals who are waiting to receive their benefits. – Average Indexed Monthly Earnings (AIMEs) are used to determine how much an individual should receive based on work history. The SSA will gather information about the income earned by the applicant for up to 35 years. This gives the SSA a basis to calculate the appropriate amount to give the applicant, and adjusting this amount for cost of living ensures that the disabled person is able to afford living expenses. – Primary Insurance Amount calculations determine the base benefit payment that a person will receive. People who receive benefits will get 90 percent of the first $791 of AIMEs. Amounts between $791 and $4,768 will be paid in benefits at a rate of 32 percent. Individuals will receive 15 percent of anything over $4,768. The maximum SSD benefit payment is $2,533 in 2013. Applicants will have to wait approximately five months to receive a notice related to the SSA’s decision. Bills can pile up during the wait, but the good news is that the SSA will grant back pay to people who are approved for benefits. Back pay can be calculated according to the date of application or the date of onset of disability. There is a five-month waiting period following the date of disability before a person is considered to be eligible for SSD benefits. Applicants who are approved for benefits are entitled to back pay of benefits for up to 12 months prior to their application, so receiving the maximum amount of back pay requires an individual to be disabled for at least 17 months prior to receiving benefits. Getting the benefits that you need and deserve is not always easy. The SSA can, at times, make the process long and difficult. I have ten years of experience in social security cases and appeals, and am ready to fight for your benefits. Contact me today to get started on your case.